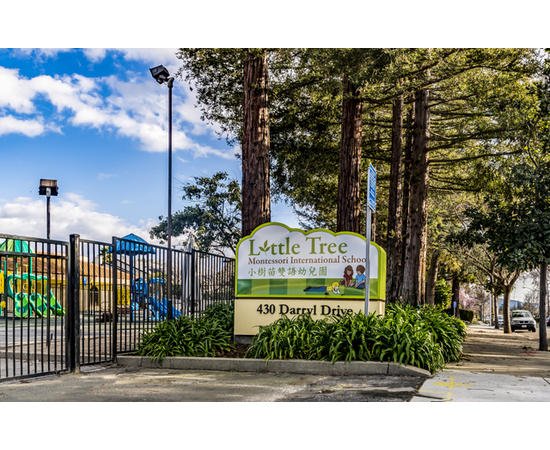 Little Tree Montessori International School Campbell campus is a brand new facility opened in November 2012. The facility is built following Montessori school facility design standard, maximizing natural colors, materials, and lights to provide an open, light and pleasant learning environment for our students. There are 8 classrooms with boys and girls bathrooms. There is a large outdoor play ground with equipment for children 2-7 years old. There is an indoor activity center that can be used for indoor play and assembly. Growing Tree provides best preschool in campell.